Below you will find: a summary of our Inspire Girls pilot in Liberia, bios of the two teachers leading this pilot in Liberia, a bio and story about our Field Associate in Liberia, and a summary of WCE’s work in Liberia. LIBERIA: Inspire Girls teachers Peter Jomah in Gardnerville, Liberia and Timothy MacKenzie in Hull, Massachusetts are planning to have their students meet with each other as soon as the new students in Liberia settle into their new school year. They are each having 15-20 of their 15-16 year old students meet via Google Hangout from each other’s classrooms once every 3 weeks. The USA class meets at the beginning of their school day and the Liberia class between the 2 shifts of students that attend their school. The USA students are mostly girls from an international club that meets after school and the Liberia students are more of a mix. They are beginning by having their students become familiar with the 5 Inspire Girls teacher resources and then have the students meet each other, share about their respective schools and communities. In the second call they will share about what are family, cultural, and community expectations with regard to girls pursuing careers in technology. In the third call they will select the teacher resource that they want to work on together. Their students have the option to make a change to the WCE list if they think of a better resource for teachers in Africa to inspire girls to pursue careers in technology. The students will archive the conversations on Google Hangout and post them on YouTube. This pairing is being assisted by Yvonne, a volunteer business tech mentor, and by Leroy Beldeh, WCE Field Associate for Liberia. Peter Jomah is currently a computer science teacher at New Jerusalem High School in Gardnersville, Liberia. He has been teaching computer science for K-12 and school drop out kids since 2009. In addition to his computer software skill he is also a hardware technician. He has served as IT consultant for few institutions. At iEARN-Liberia, he was actively involve with several iEARN projects including the Inspire Girls project of World Computer Exchange where he was part of a team that trained over 25 “out of school girls”. He is a senior student of the University of Liberia studying Accounting and Management. 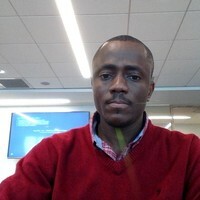 Prior to attending the University of Liberia, He studied Computer Hardware (A+) at AGREDS in Ghana and also studied Computer Networking (N+) at the Ghana-India Kofi Annan Center of Excellence in IT (KACE) in Ghana between 2005 and 2006. He is happily married and the union is blessed with four children. He and his students are eager to work on the Inspire Girls pilot with the history teacher and his students from the Hull High School in Massachusetts, USA. They will work together to develop an on-line student learning project to help inspire girls to pursue careers in technology. Timothy MacKenzie is a history teacher at Hull High School in Massachusetts, USA. He has been a teacher for 15 years. He held an administrative post in his prior high school. He advises an after school international club and has taken them on trips to a few different countries. He has been active in politics and was elected as one of 5 members of the Board that manages his local town of 10,000. He received a Juris Doctor from Suffolk University and has practiced law. He is married and the father of 3 adult sons. He and his club are eager to participate in the Inspire Girls pilot with the computer science teacher at the New Jerusalem High School in Gardnerville, Liberia. They will work together to develop an on-line student learning project to help inspire girls to pursue careers in technology. A man of many titles, Leroy McDyiah Beldeh has made immeasurable impacts on young students in Liberia. Leroy is the Field Associate for World Computer Exchange in Liberia. Each of the ten Field Associates is dedicated to bringing WCE resources to schools, organizations, governments, youth centers, and other groups. Leroy was a classroom teacher for 6 years, teaching History and Geography. Yet, his relationship with WCE began through involvement with iEARN. iEARN is a global non-profit that works with teachers and schools from over 140 countries. iEARN helps foster collaboration among students, engaging them in educational projects using the internet and computer technology. Leroy is the iEARN Country Coordinator for Liberia, allowing him to work with and train teachers from K-12 in computer and internet literacy. He also facilitates virtual learning sessions and assists other classes with iEARN project-based learning. As an iEARN Country Coordinator, Leroy originally had a more technical role within WCE, providing technical orientation to groups using WCE computers. He helped set up and integrate WCE computers, while providing assistance in the use of the software platforms. He is also playing a key role in helping to launch WCE’s Inspire Girls project, helping to bring the initiative to Liberia. As the first institution in Liberia to use the Inspire Girls project, Leroy’s school was able to train over 25 girls in internet literacy. Leroy is helping guide the development and roll out of the Inspire Girls project. Leroy is now recruiting another Liberian teacher to work with a high school social studies teacher and class in Hull, Massachusetts to co-develop one of the eight Tools for teachers interested in inspiring girls to pursue careers in technology. Leroy conducted his first WCE workshop in Liberia in August of 2015. Since then he has visited Tom Graham the WCE Washington/Baltimore Coordinator and Jack O’Donnell the WCE Chicago Coordinator. He is hoping to make great strides with the e-waste initiative. A teacher at heart, Leroy’s overall dedication to the students of Liberia is commendable. He views the role of teachers as something far greater than simply a classroom instructor: “From my experience, the most important role of a teacher is to serve as a mentor to his pupil. Mentorship from a teaching perspective goes beyond classroom presentation. It involves providing guidance and leading by positive examples.” Certainly Leroy has provided an admirable example for his students through his tremendous involvement in both WCE and iEARN. We are excited to see the work that Leroy and the WCE Liberia Chapter that he is developing will accomplish. Leroy is also the Program Director of the Kennedy-Lugar Youth Exchange and Study Program-Liberia, a US Department of State Sponsored Student Exchange Program. Leroy has an outstanding and accomplished professional working experience as an Environmental Professional and Education program Manager. He is a former high school teacher, worked on several professional development programs for teachers in Liberia and has worked with the United Nation Environment Programme as a Junior Program officer. Leroy obtained his under graduate degree in Political Science from the University of Liberia, and Master Degree in Environmental Policy from the University of Denver, Colorado. He also earned a Master degree in Project Management from Colorado Technical University. Early work on Inspire Girls was undertaken in Liberia and Zimbabwe under the Sponsorship of Disque and Carol Deane. As part of Inspire Girls, three WCE eCorps tech volunteers visited most of the recipient organizations in August 2013 to provide onsite training and troubleshooting and to help with coaching and beginning our evaluation. The groups participating in the early shipment for Inspire Girls Liberia were recruited via a meeting hosted by USAID in Monrovia in 2012: Bridge of Hope Girls’ School, The Carter Center, Defence For Children International, Grand Bassa Community College iEARN-Liberia, Kolahun Central High School, Liberia Entrepreneurial & Economic Development, Liberia Mission of the Catholic Archdiocese of Monrovia, RESPECT Liberia, SOS Liberia, Tubman University, and University of Liberia Department of Mass Communications. The Washington/Baltimore Chapter of World Computer Exchange (WCE) is refurbishing computers for our 5th shipment to Monrovia. The computers are being loaded with English versions of Linux Ubuntu operating system (more resistant to viruses than Windows), Libre/Office suite (can be saved in Word), Edubuntu, Khan Academy, and our educational content pack of education, health, agriculture, environment, and technology content for offline use. WCE is seeking a Corporate Sponsor to match the donations from our Partners to help in covering the costs for this shipment. Leroy Beldeh, our WCE Field Associate in Liberia, is now recruiting future recipients from among our 88 interested groups in Liberia. His team offers training and computer maintenance warranties for the computers. Previously, WCE has sent four shipments of 353 computers to 112 schools connecting 140,210 students over the years. Shipments to Liberia have also included books, new midwife kits from Maternova, solar lamps, and a new sun oven. Prior computer shipments have been partially financially Sponsored by Lonestar Cell Foundation, Equatorial Palm Oil Group, and the friends and families of Peace Corps Volunteers. WCE is seeking to again work with Peace Corps volunteers in Liberia like we have here and in 16 other countries. WCE volunteer Development Officers for Liberia: Janet Auman, Bryan Barton, Bradley Cicenas, Janice Cooper, Jude Dela-Moses, Veronica Flynn, Lofen Keneah, Steve Mukherjee, Virginia Mattingly Smith, and Teakon Williams. WCE Regional Manager for West Africa: Jude Dela Moses.